Meanwhile, Khalid collects his fourth Hot 100 top 10 and first as a sole lead artist, as "Better" bounds 16-8 as his new album Free Spirit arrives as his first No. 1 on the Billboard 200 chart. Khalid notches his first No. 1 on the Billboard 200 albums chart, as his third release, Free Spirit, opens atop the tally. 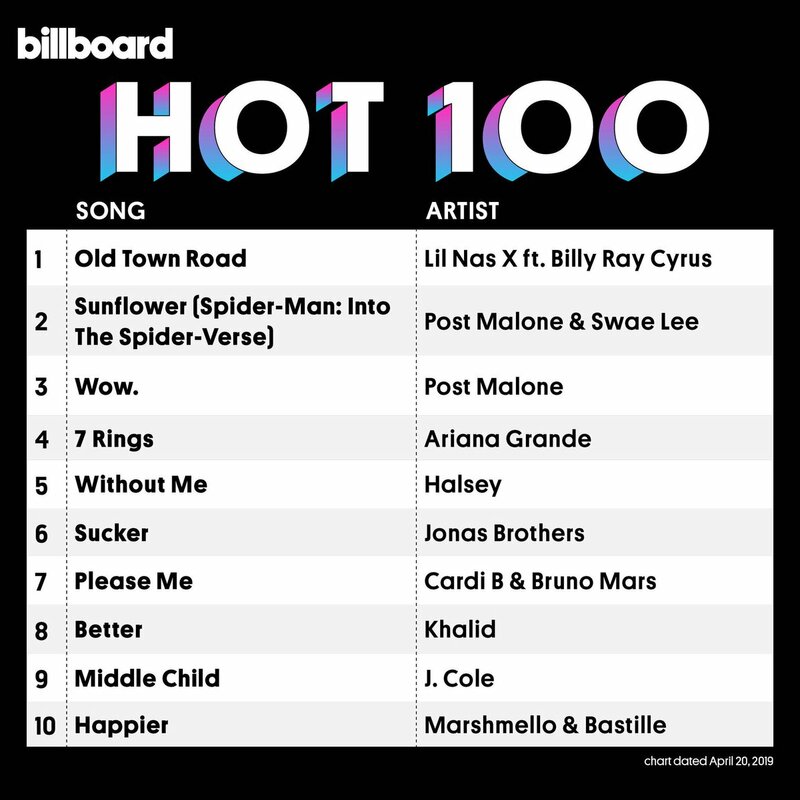 The set, released on April 5 through Right Hand/RCA Records, starts with 202,000 equivalent album units earned in the week ending April 11, according to Nielsen Music -- the fourth-largest week of 2019 for an album. Of that sum, 85,000 were in traditional album sales. Free Spirit’s start of 202,000 equivalent album units is the fourth-biggest week for an album in 2019, and the largest for a set by a male solo artist. Of Free Spirit’s opening-week unit sum, 111,000 were in SEA units (translating to 146.9 million on-demand audio streams for the albums tracks), 85,000 were in album sales (boosted by a concert ticket/album sale redemption offer with his upcoming tour) and 6,000 were in TEA units. Scorpion still top 10. Hasn't had a single released in HALF a year. Views was also #15 at this point. This, who the hell is still checking for him?